3. Are You Really Local? The release of the completely new album THE JUDAS HOLE (including 10 brand-new tracks) will follow later in 2011. With “That Day Joey Burns Offered Me A Job” the EP contains one of the songs of the new album. 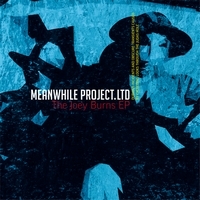 The Joey Burns EP by Meanwhileproject.ltd is licensed under a Creative Commons Attribution-Noncommercial-Share Alike 3.0 Netherlands License.